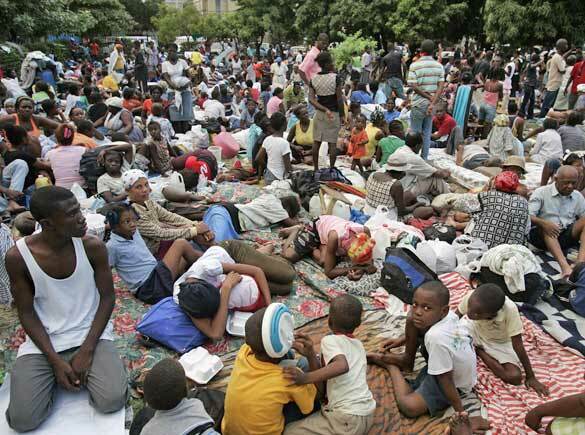 Did you call the Red Cross at 90999 and text "haiti"? It's super easy. Please do it. Everyone is talking about Partners in Health. You can donate money here. I’m with Wendy, and always get a bit dismayed at the hoopla about donations. But, it does get some people to give. In addition to giving, cash, you can 1) Try to convince your employer to give as well. A few law firms have announced matching donations. 2) Call your congressman and ask them what they’re planning on doing. Not the right thread, but I finally followed one of the links about Robertson. I’d assumed that the headlines had “made a pact with the devil” symbolically. But, following the links, I’m deducing that he meant it literally. Sometimes I’m shocked at the weirdness of my fellow human beings.